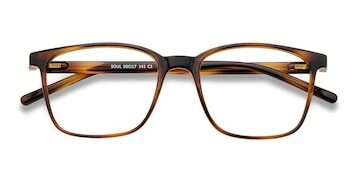 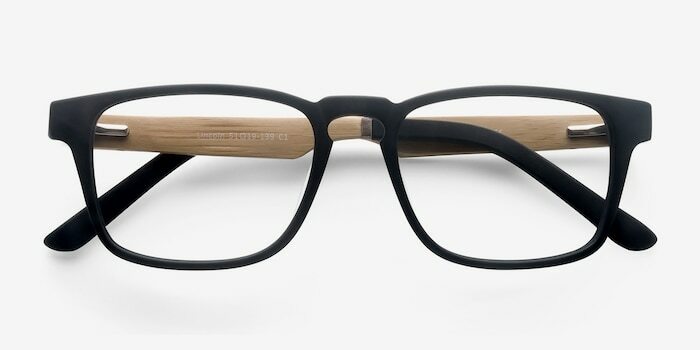 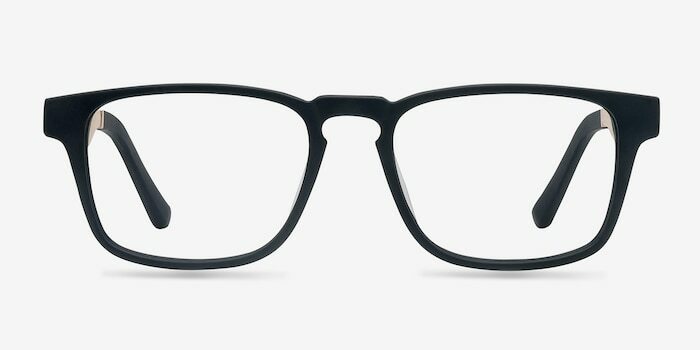 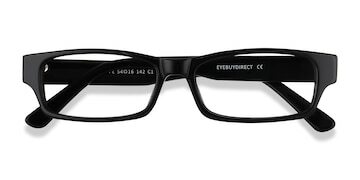 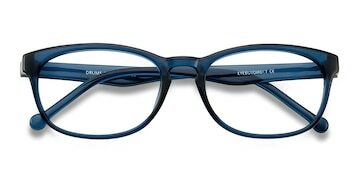 These charming black eyeglasses have a sophisticated edge. 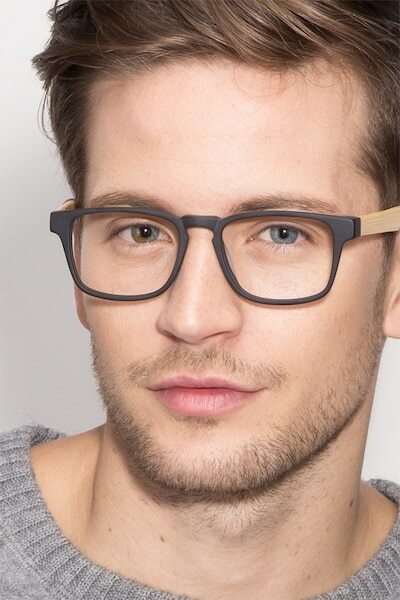 This confident style has a lustrous black plastic finish with square shaped lenses and a classic keyhole nose bridge. 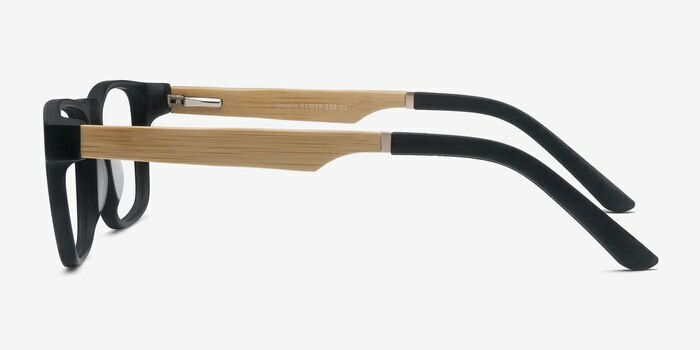 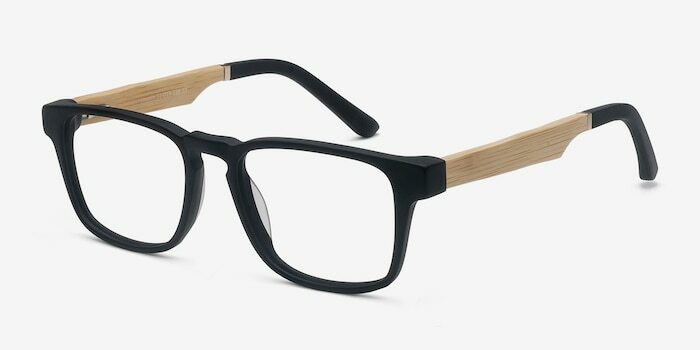 The durable yet adjustable temples are made of naturally polished wood and end in black arm tips.